VUZITECH 3D SECURE connects to bike or scooter wiring with a convenient and reliable 10 pin connector. This allows the System to be removed for use in a new bike or scooter just by adding the wire harness accessory. Vuzitech 3D Secure works with all newer iPhones and Android phones. Wirelessly links to your phone to provide walk up and walk away security. 3 axis motion sensing to accurately detect movement, but minimizing false alarms. Re-using your own horn and lights, whether your bike or scooter is on or not. See Vuzitech 3D Secure status on your phone, or by observing the included LED. No observable drain on your battery for 3 months. Download Vuzitech 3D SECURE App Today! With a simple app in your phone, you are having full control with your bike. 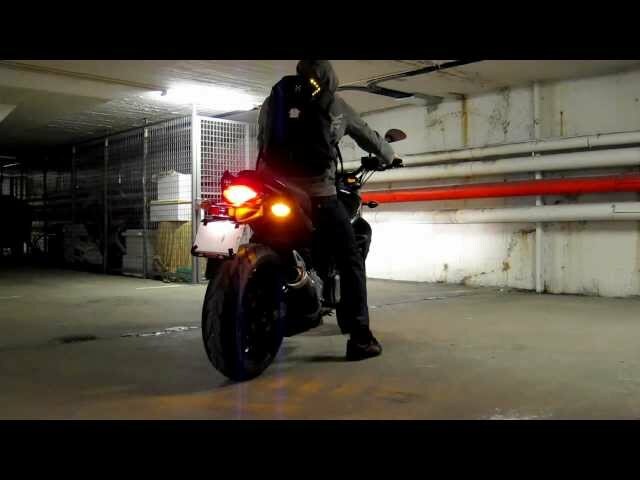 When the bike is in “PANIC” mode, the horn sound and lights will flash. Keep track of your bike’s routes, including path and time. Reminder for oil, brake pad changing, helps you to take better care of your bike. Click to view full Setup Guide and App Manual.